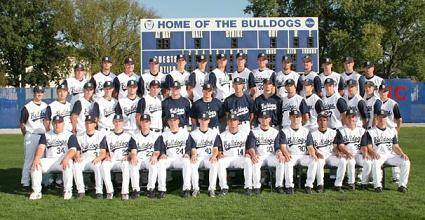 Did you know that over 100 college baseball programs offer baseball camps for high school and youth players? The close to 50,000 baseball players each year who attend college baseball camps do. 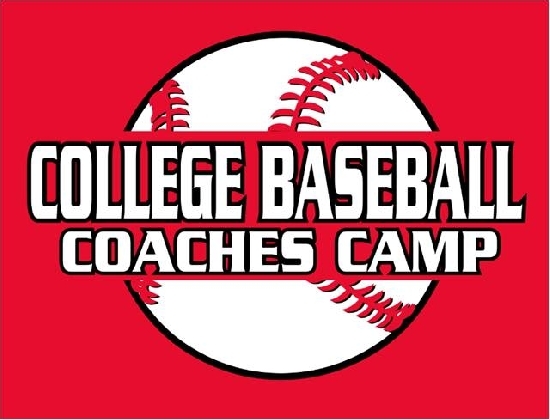 Just about wherever you are in the country you should be able to find a college baseball camp where campers will receive instructions from college coaches and players. At these camps younger players will be drilled in the fundamentals of the game by trained experts who already have them down pat. Older players will have their game tweaked and refined and prepared for the challenges of high school and then college ball. College Baseball camps go on during the college baseball off season. Besides the late summer, when many camps are offered, most potential campers will be in school during this time period. So college baseball camps are often held over the weekend or during the week at night. 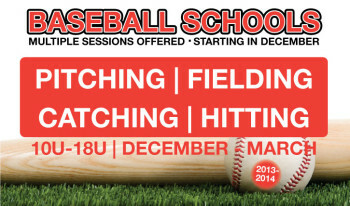 Thanksgiving and the time between Christmas and New Years are also popular times to have college baseball camps. The college camps coaching staff will be made up of the coaches from the host college as well as coaches from smaller college programs and junior college programs in the area. College players from the host school as well as other area college players will also assist as coaches and counselors. Now the purpose of a college baseball camp isn’t just to learn new baseball skills, although that’s what they all advertise. For older players it is an opportunity to showcase their talents to the coaches in hopes of receiving a college baseball scholarship. (This is why going to a camp which has coaches from multiple schools is a good idea.) Some of the more prestigious college baseball camps will also have pro baseball scouts in attendance looking to check in on high school baseball players they might want to recommend to their team for Major League Baseball’s 40 round entry draft. College camps can big pretty big, with some hoarding in 400 to 500 campers a session. Before picking a college camp you should inquire upon the coach to player ratio. Big camps are fine if they are well staffed. But since the name of the game is getting instruction and exposure there will be plenty of campers who get lost in shuffle if there are not enough coaches. There are all different types of college baseball camps, including some that are just for hitters or pitchers. They also have quite a price range. Some camps from top college’s like Arizona State can run $1000 for a two day seasons. However you might get a three or four day camp at your local community college for less than half of that. Choosing a college baseball camp, particularly for older players who want to showcase their talents, should have a lot to do with the player’s skill level. If the teenager has no chance of playing college ball at a top Division 1 school they would probably be better off attending a camp at a Division 3 or NAIA school. Not only will the camp likely be cheaper but by meeting the coaches at a college the camper has the skill set to attend it builds the kind of relationships that may actually led to them playing college ball and even getting a scholarship to do so. If you are interested in a college baseball camp the first step should be to check to see if the colleges in the area offer them. If they have baseball programs, the chances are they do.